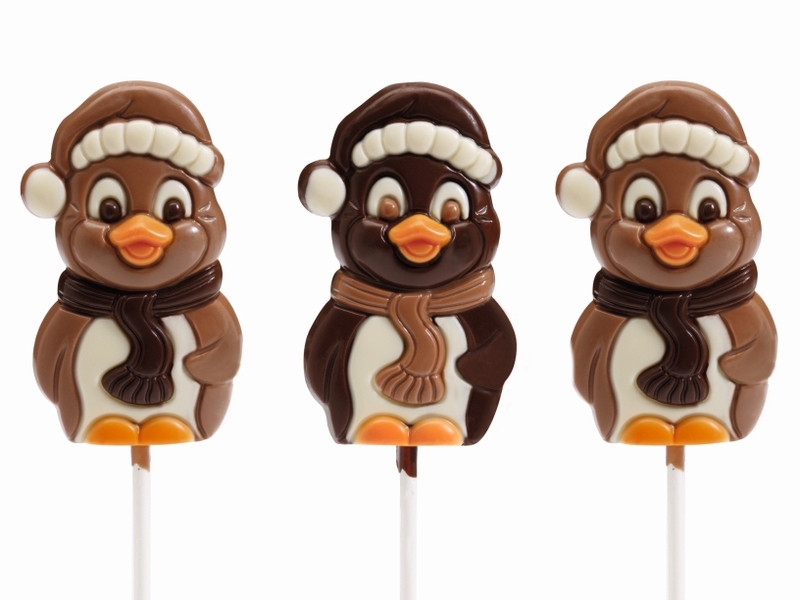 Come & meet Pingu the penguin! 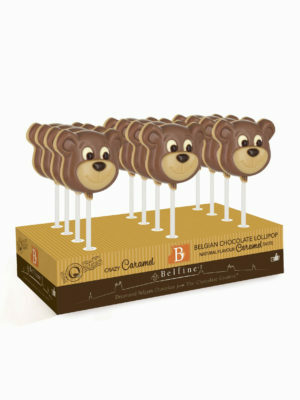 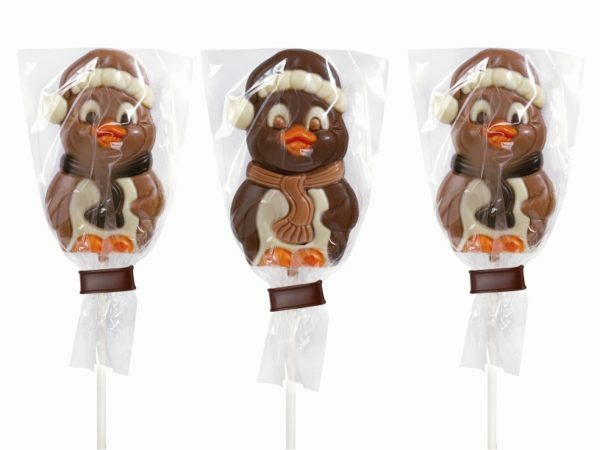 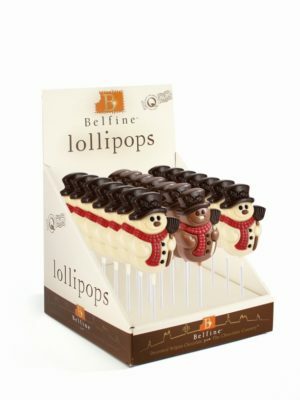 Dark & Milk chocolate lovers will definitely love the mix of Dark & Milk chocolate lollipops in one display. 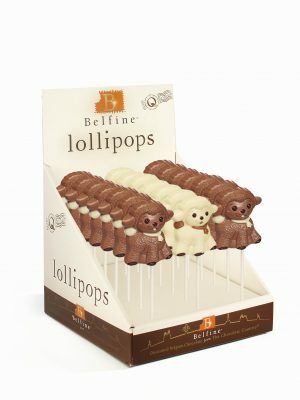 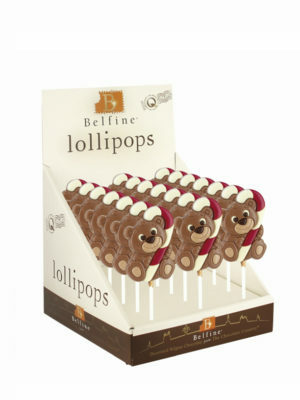 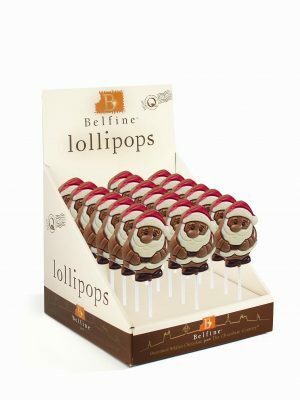 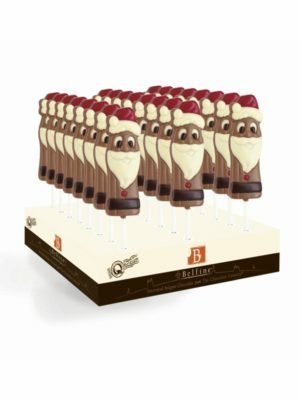 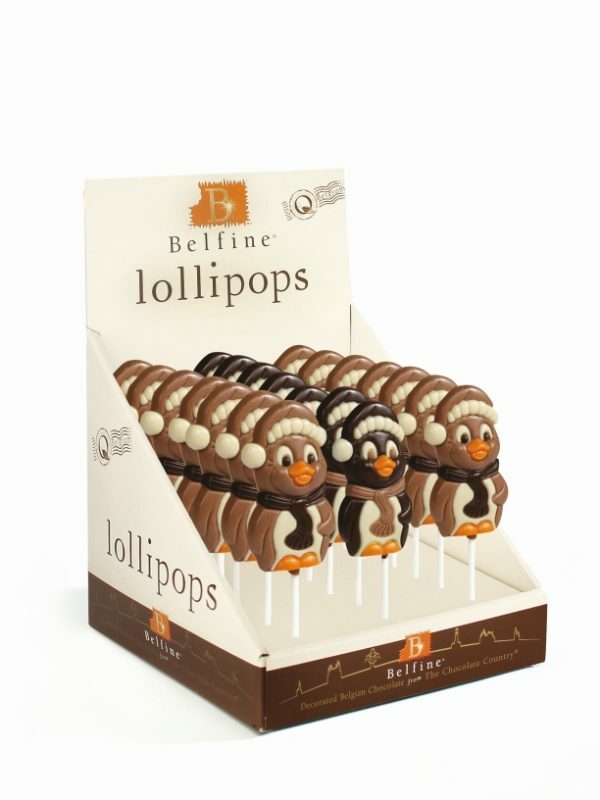 All Belfine lollipops are made with sustainable grown cocoa beans and individually packed in a transparent bag with clip and ingredient label.